Tagline- Nuclear Power. In the Best Hands, It Is Dangerous. In the Hands of Lex Luthor, It Is Pure Evil. This Is Superman’s Greatest Battle. And for All of Us. 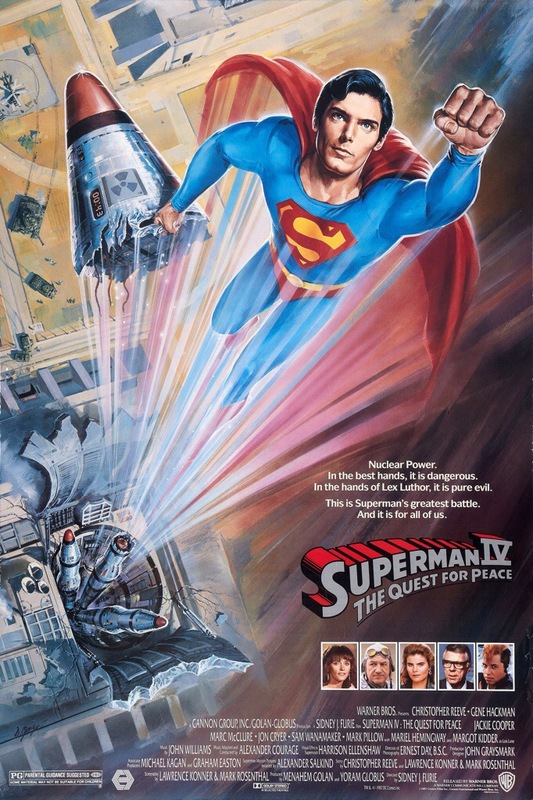 Released in 1987 Superman IV: The Quest for Peace was an end of an era. 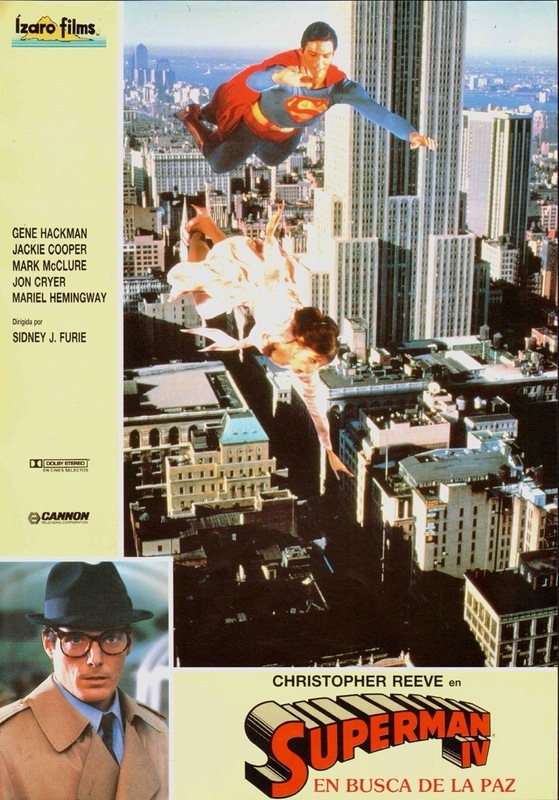 This film would mark the final time Christopher Reeve would play the title role and this would end the series for nearly 20-years. To be exact it wasn’t for 19-years until the next Superman film was released, which was in 2006 with Superman Returns and it would ignore the 3rd and 4th films and pick up from Superman II (the Richard Donner version). Superman IV was from the Cannon Group with about a 36-million dollar budget that was than slashed to roughly 17-million. Superman IV is considered by many fans of the series as the worst one and while I cannot argue against that I actually liked it more than Superman Returns and Man of Steel if for anything because for me at least this film sort of works on the so bad it’s good level (to some degree) and when taking into account the massive budgets for Superman Returns and Man of Steel they really didn’t offer that much more even if from a technical side far better films. Superman: The Movie, which was released in 1978 was a huge success, but oddly enough superhero films still wouldn’t take off and even after the success of Tim Burton’s Batman in 1989 the 90s offered mostly Batman sequels. It wasn’t until the 2000s these films were produced on a regular basis as it was mostly animated TV shows with a couple of live action shows here and there. 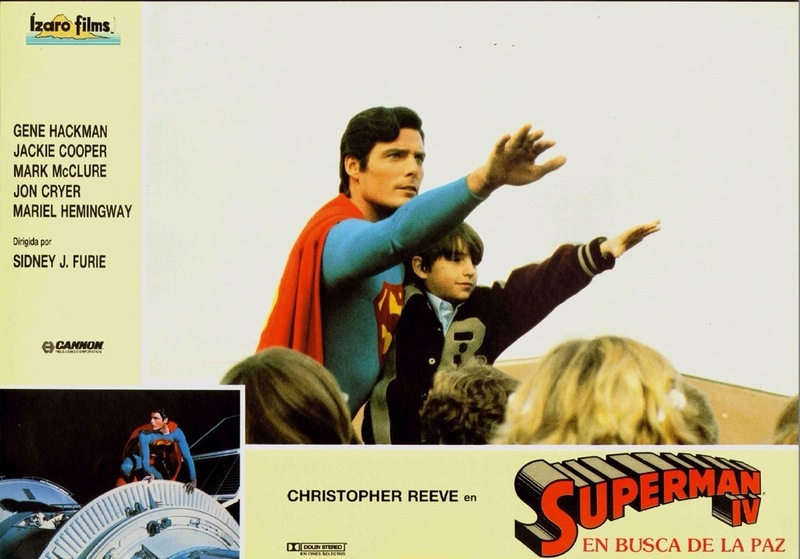 Superman II also proved to be a huge success in 1980. But by 1983 with the release of Superman III while the film was profitable it wasn’t very well received if anything it was very mixed and 4-years later with Superman IV it was the film to get the series back on track, but instead it buried the franchise. These are just US numbers, but the original grossed 134-million with the 2nd film making 108-million, Superman III brought in 59-million, which was just under half what the 2nd film pulled in so it was a bit of a disappointment, but 59-million is still a nice profit, but Superman IV only pulled in 15-million and didn’t even make its budget back (though I don’t know what the worldwide numbers were, but I assume it made a few million). There was a Superman V planned, but due to the disastrous of Superman IV the film was scrapped and as mentioned it took 19-years until another Superman film was made. I hate when I read reviews for films of mostly the 70s and 80s and its said the F/X were good for their time and don’t expect modern like F/X. When it comes to special makeup F/X I find those to mostly hold up when looking at the works of artists such as Rick Baker, Tom Savini and KNB it’s far better than anything modern and the transformation scene by Rick Baker in American Werewolf in London blows any CG out of the water. 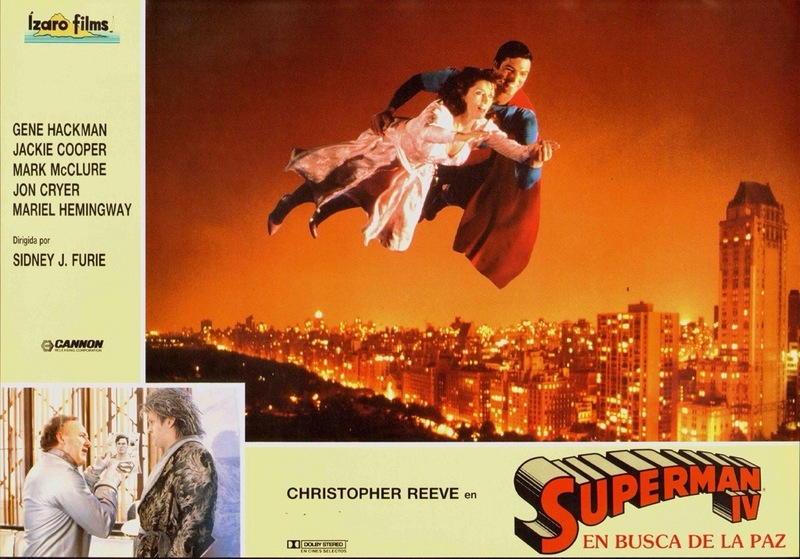 Films like Superman, which were sort of the CGI films before CGI more often than not don’t hold up as well, but in the case of the first two Superman films while not everything holds up I actually think the F/X are in the very least decent looking, but Superman IV even for its time was quite shoddy in spots, but that happens when the budget is cut in half. Though with that said I don’t think the F/X are as poor as their reputation. As much as I love the Cannon Group as they made some of my favorite films of the 80s, but by all accounts Menahen Golan and Yoram Globus weren’t very good businessmen and with Superman IV I think they were a little out of their league in basically every aspect and the final product shows from not just the somewhat shoddy F/X, but all aspects of the film. 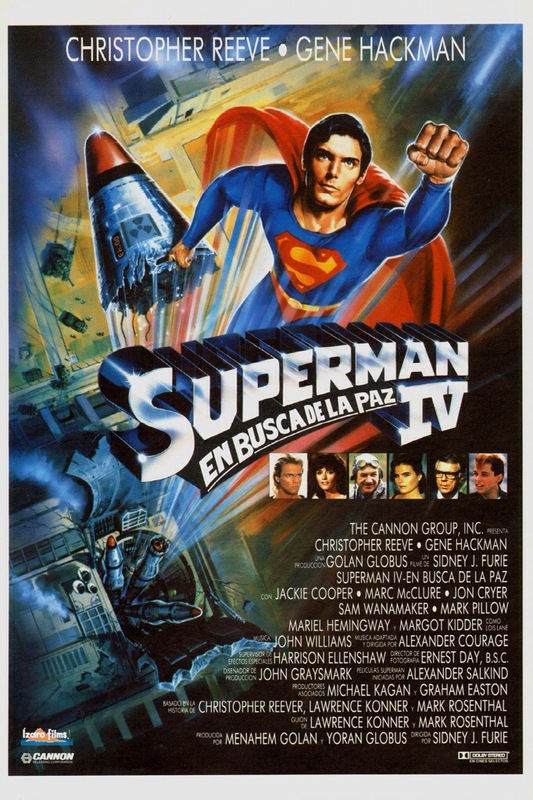 Superman (Reeve) sets out disarm nuclear weapons and once again battles Lex Luthor (Hackman). 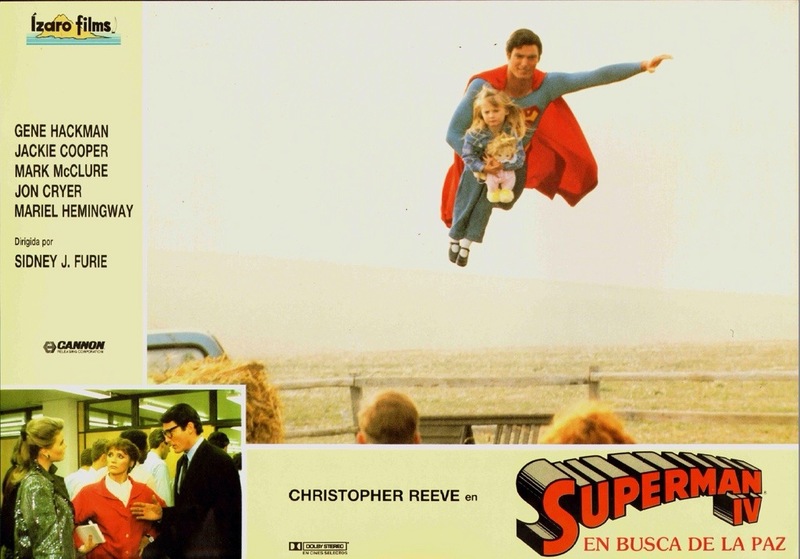 Superman IV was based on a story by Christopher Reeve, Lawrence Konner & Mark Rosenthal and the script was written by Konner & Rosenthal. The screenplay has no structure or direction and outside of the main plot the script just feels like random scenes thrown together. The plot of Superman wanting to get rid of nuclear weapons just isn’t strong enough to carry the film (or interesting enough for that matter). While the characters are decently written for, however none quite make much of an impact as the new characters just aren’t interesting enough and the returning characters are just getting a bit tiresome as it feels like Konner & Rosenthal just rehash past dialogue. 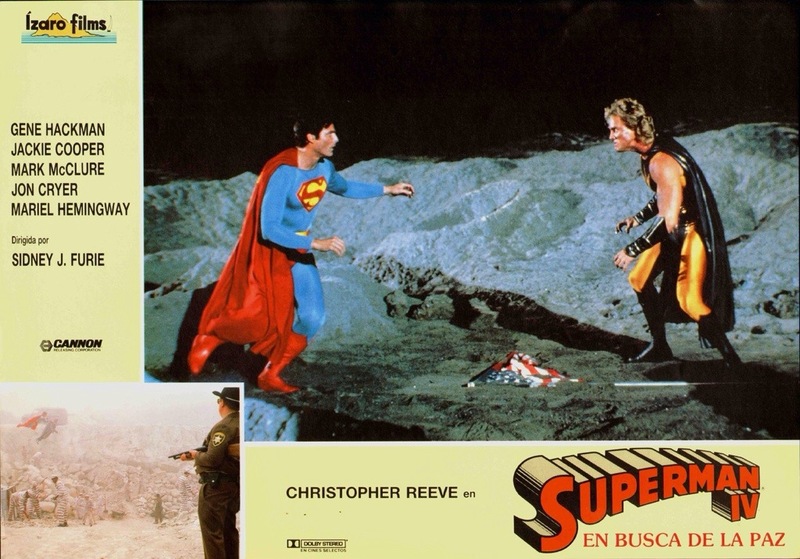 While I wouldn’t say Superman IV had a terrible script, but it just wasn’t very good. The film was directed by Sidney J. Furie who in 1982 directed the cult classic the Entity and in 1986 would direct Iron Eagle and the following year after Superman IV somebody decided another Iron Eagle film was made and Furie would return for that and than would return once more for Iron Eagle IV as someone thought it needed a franchise. Furie would also direct the Rodney Dangerfield comedy Lady Bugs. 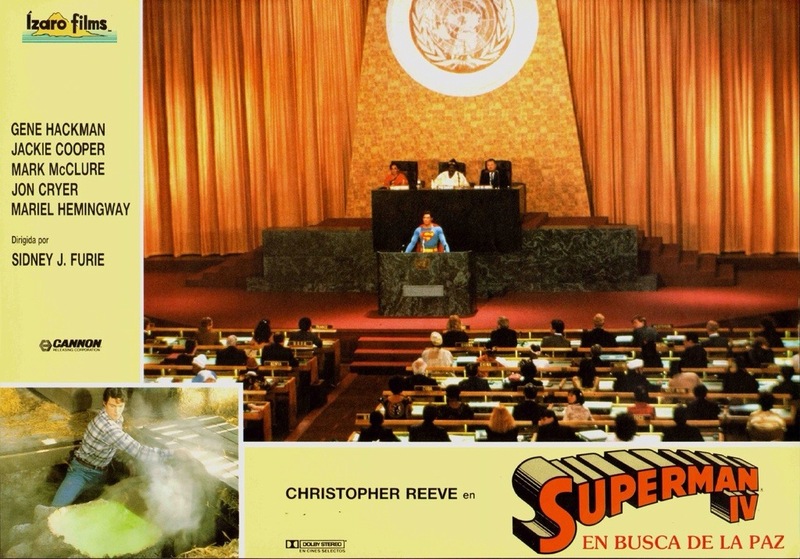 Sidney J. Furie has made some decent films, but Superman IV is quite subpar. The direction is flat and while the film moves along quick enough though with that said midway through the film it can get quite sluggish, but the film lack any fun or excitement. Some of the blame can be placed on the script, but Furie fails to bring much excitement and even the action scenes are quite boring and lifeless. Superman IV is never exactly a good film, but its watchable, but by the middle of the film what little steam it had pretty much disappears. To the credit of the cast they make the best out of what little they had. After basically having a cameo in Superman III Margot Kidder returns in a much larger role and while her performance was strong it was just a tired act thanks to the weak writing and directing. Gene Hackman who didn’t appear in Superman III and was replaced by Robert Vaughn as Ross Webster who was basically Lex Luthor. Like Kidder, Hackman delivers a solid performance, but by this point it was again tiresome. Christopher Reeve wasn’t the first actor to portray Superman and he wasn’t the last, but for many of us he was our first Superman. Reeve gives it his all and in my opinion nobody will ever top him in the role. But even Reeve’s doesn’t make quite the same impact, which again is on the writing and directing and it’s unfortunate that the terrific performances by Kidder, Hackman, Reeve and Mariel Hemingway are pretty much wasted. Jon Cryer is a talented actor best known for such films as Pretty in Pink and Hiding Out, but when all is said and done he’ll always be best remembered for his iconic role as Alan Harper on Two and a Half Men, a role, which has garnered him much critical acclaim and various awards. However none of that talent is on display here and as much as I like Jon Cryer this is one of the most annoying performances I’ve seen. Lastly about the cast; Mark Pillow who appears as Nuclear Man has gained a bit of a cult following for this film and this was the first and last film Mark Pillow ever appeared in. Overall Superman IV: The Quest for Peace is quite a poor film and as much as I love the Cannon Group this isn’t one of their finer moments in the 80s. 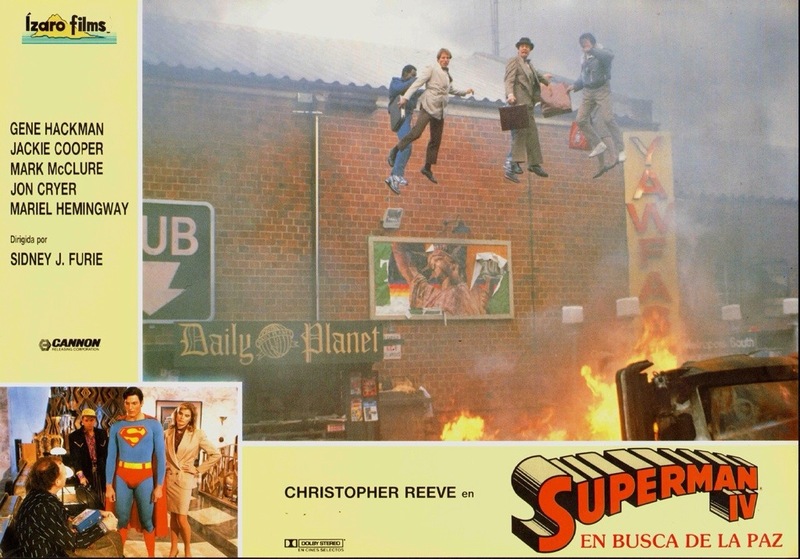 Though as mentioned as poor as this film was and it was by far the worst of the Chris Reeve Superman films I do prefer it over Superman Returns and Man of Steel. 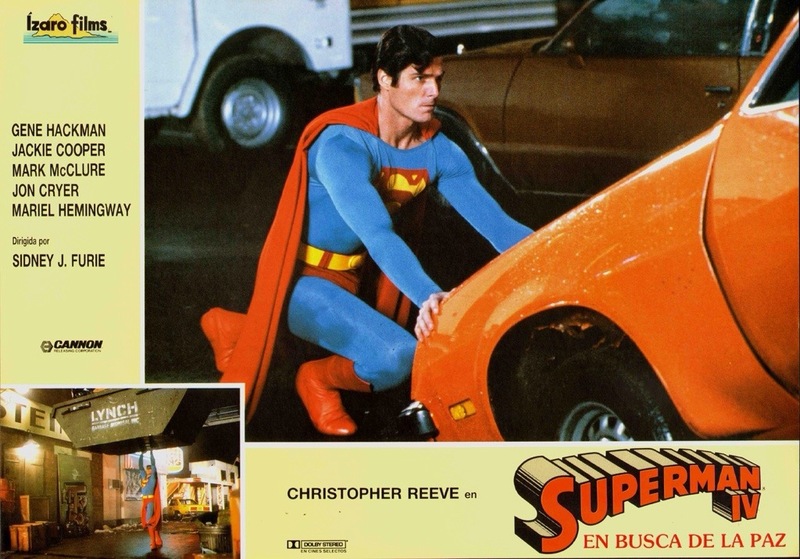 Superman IV is a bad film, but not as bad as its reputation where it’s sometimes listed as one of the worst films ever, which is going a bit too far. It’s poor, but fairly watchable. My favorite thing about the film is a bunch of scenes when people are in the air from Superman to the civilians more often than not the wires lifting them are clearly visible. 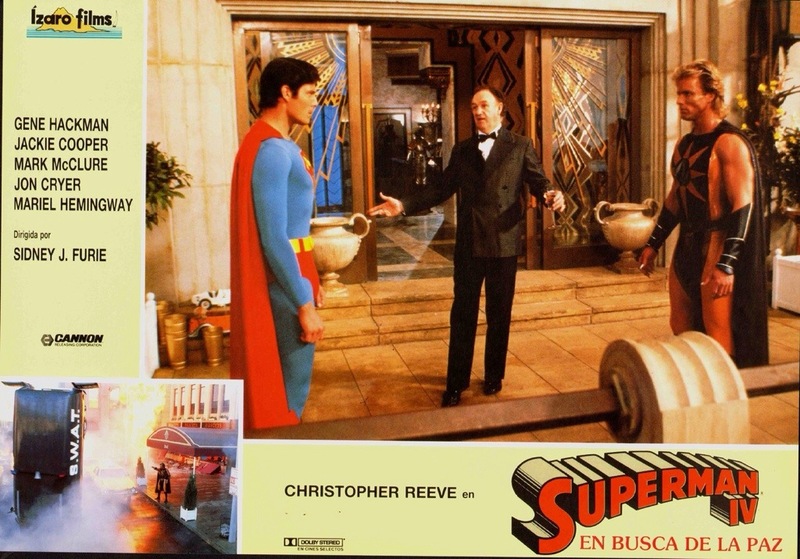 Here’s a bit of trivia; apparently both Richard Donner and Richard Lester were offered the chance to direct and both passed and Wes Craven was set to direct, but was let go due to creative differences with Christopher Reeve.